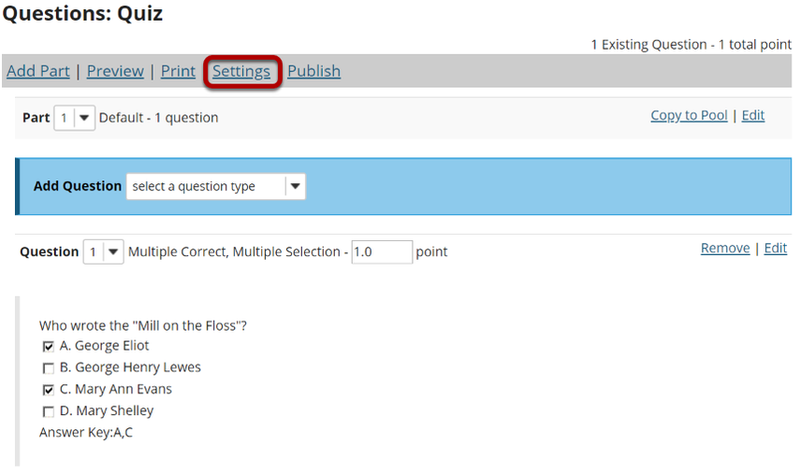 Sakai Community DocumentationSakai 19 User Guide (English) Tests and QuizzesHow do I publish an assessment (i.e. test or quiz)? Note: Settings are typically adjusted fully on the Draft before publishing. 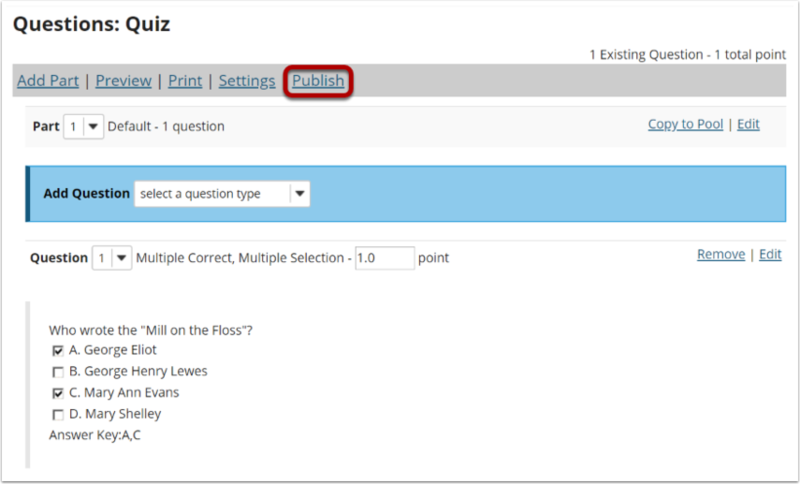 Click on Assessments to view your published assessments. 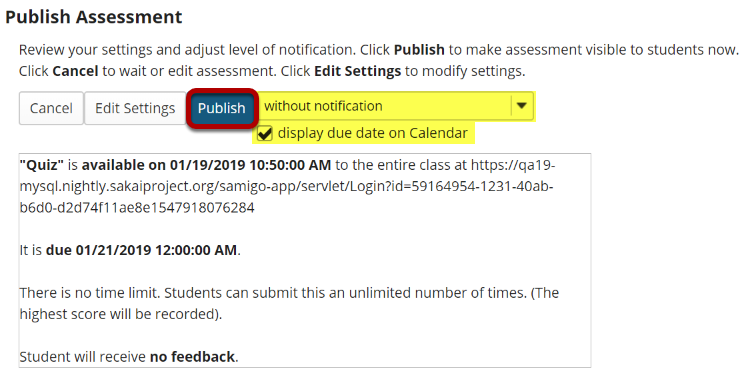 Published assessments will be displayed in the list, along with the status, submission and release information, and the user that last modified the item.